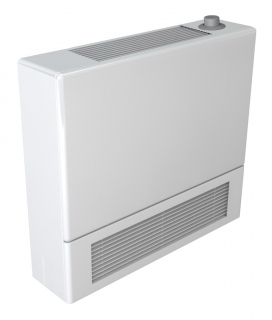 The Stelrad LST i Plus is similar in many respects to the Stelrad LST Plus but is available in a wider range off heat emitter sizes and has an updated modern design with rounded edges. The LST i Plus offers an integral remote sensing thermostat valve, the highly specified Danfoss RAS-D Remote Sensor, which can be pre-set to allow adjustment of room temperature. In addition, an arthritic adaptor is supplied as standard for special need environments, as well as a lockshield valve which can only be adjusted with a 6mm Allen key, hidden with a neat metal dust cover to discourage unauthorised tampering.